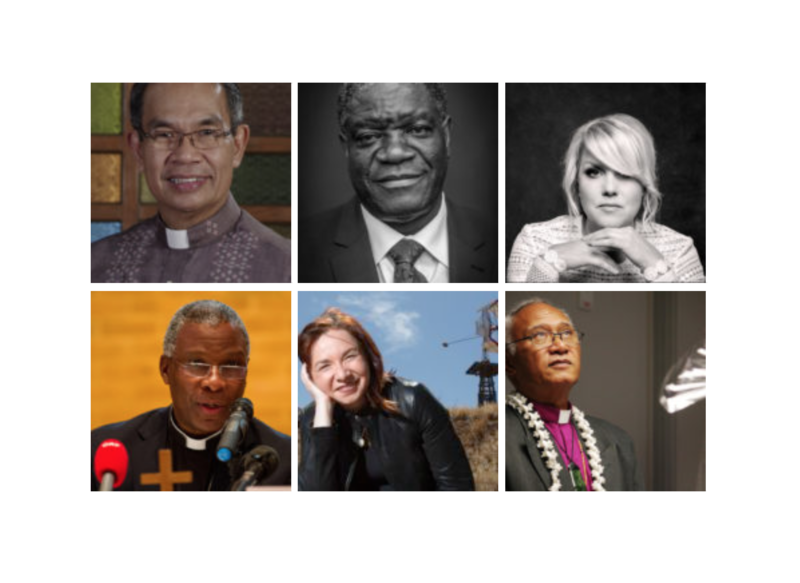 Join Dr Mukwege and other Christian leaders – sign the climate petition! Christian leaders across the globe are calling on world leaders to keep their Paris Agreement promises, ahead of the UN Climate Change Conference in Bonn, Germany. Please add your name to the public letter at www.renewourworld.net. convinced that climate change has the biggest impact on the most vulnerable. The related competition for natural resources, especially agricultural land, it is a key driver of violent conflicts. Women often bear the brunt of this violence. Christians must bear their responsibility to speak out against this injustice. 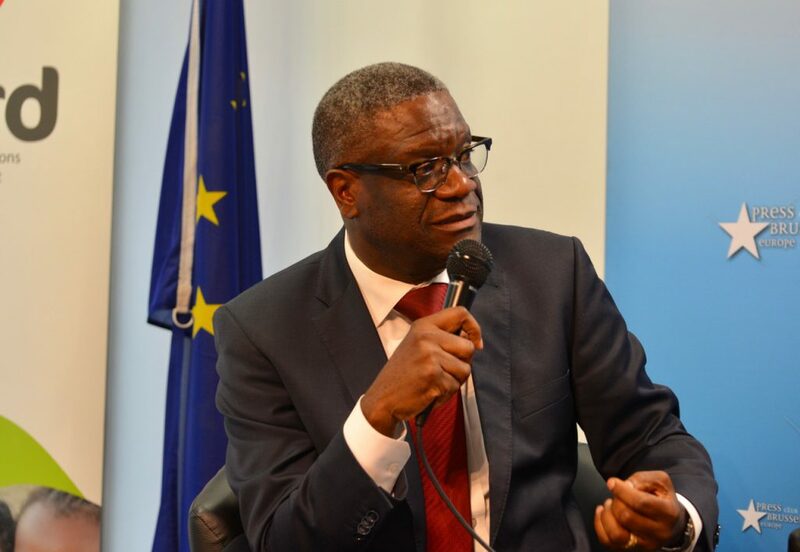 Dr Denis Mukwege speaking at an EU-CORD event in October 2017 in Brussels. Photo credit: Bruno Mariani. The letter is launched by Renew Our World campaign, a global community of Christians speaking out for justice, which EU-CORD is part of. The COP23 global climate talks will take place November 6 to 17, convening hundreds of government leaders to take action towards the goals of the 2015 Paris Agreement. 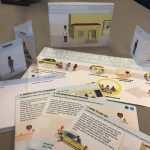 In the letter, church leaders urge national governments ‘to keep the promises they made in the Paris Agreement, to restore the natural balance,’ and to ensure that global warming is limited to the safe level of 1.5 degrees to protect the poorest people worldwide, who are hit the hardest by climate change. It also calls for more investment in clean off-grid energy to reach those in poverty who can’t access national electricity sources. At EU-CORD we are convinced that there is a growing demand for stronger action to tackle climate change. Christians across the world are joining the Renew Our World campaign to urge political leaders to agree ambitious targets and outline substantial plans for how they will cut their emissions and carbon use. 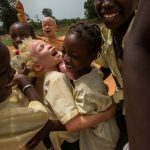 In their every day work, EU-CORD members see the effects climate change is having on the poorest people in the world, dragging many back into the clutches of poverty through floods, droughts, and bad harvests. We’re committing to respond as Christians by living more sustainably, praying, and raising our voices; we’re asking every member of the church – the world’s largest network – to join in, alongside many others, and every national leader to lead the way. The letter is also signed by Bishop Efraim Tendero from the Philippines, Secretary General of the World Evangelical Alliance, the well known climate scientist Katharine Hayhoe, 24/7 Prayer movement leader Pete Greig, and the US American Christian singer Nichole Nordeman. 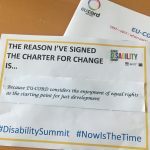 Among the European initial signers are Dr Robert Innes, Bishop of the Anglican Diocese in Europe, Evi Rodemann from the Lausanne Movement, and Thomas Bucher, the General Secretary of the European Evangelical Alliance. More information can be found at www.renewourworld.net.